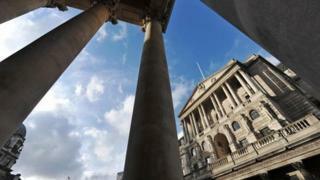 The Bank of England has said it is planning to cut between 80 and 100 jobs following a "value for money" review. The Bank said the review - of its Central Services support division - had identified about £18m of savings that could be made by 2015-16. Funds released through the review would be re-invested to support the Bank's statutory duties, it said. The Bank of England employs just over 3,600 people, of which about 1,000 work in the Central Services unit. The Bank added it was "working closely with the Bank's union to ensure that affected staff will receive support to find alternative employment".